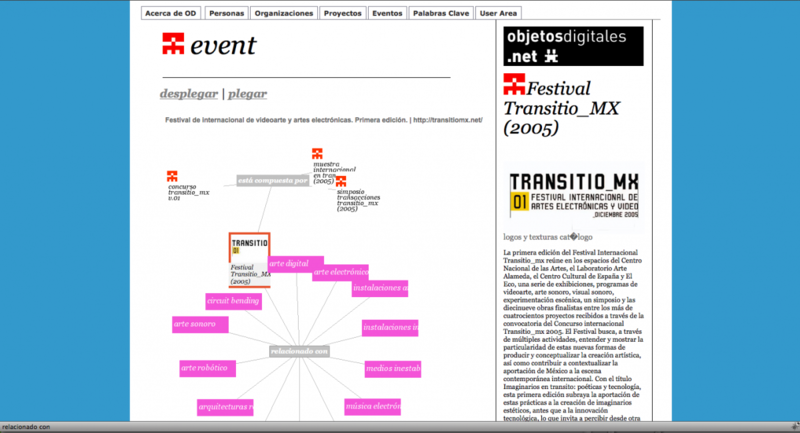 by: Lilia Pérez RomeroProgrammed by: Hugo Iván OrozcoWith contents from various sources including user provided contents.Made with a grant from: National Fonds for Culture and Arts / Mexico.Objetosdigitales.net is a knowledge base and a cultural directory about people, organizations and events related to art and new media in Mexico that aims to reach within and outside this country giving visibility to Mexican talents. 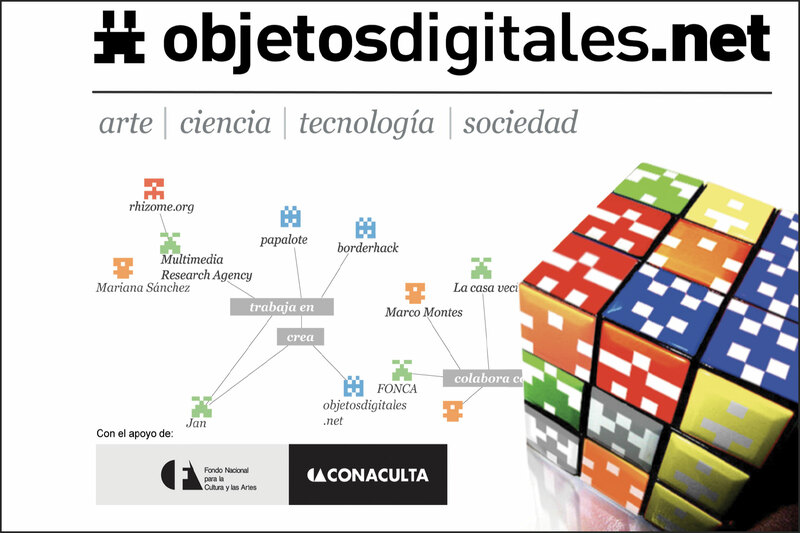 It is a project organized by artists for use by artists, curators, organizations, researchers and anyone interested in the practices arising from the intersection between art, science and technology. 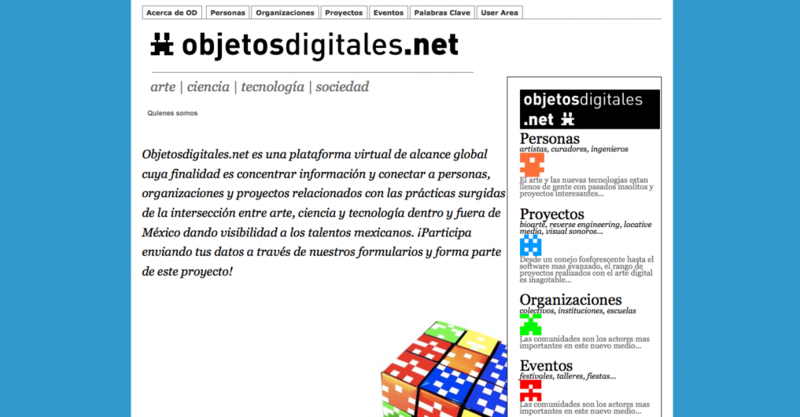 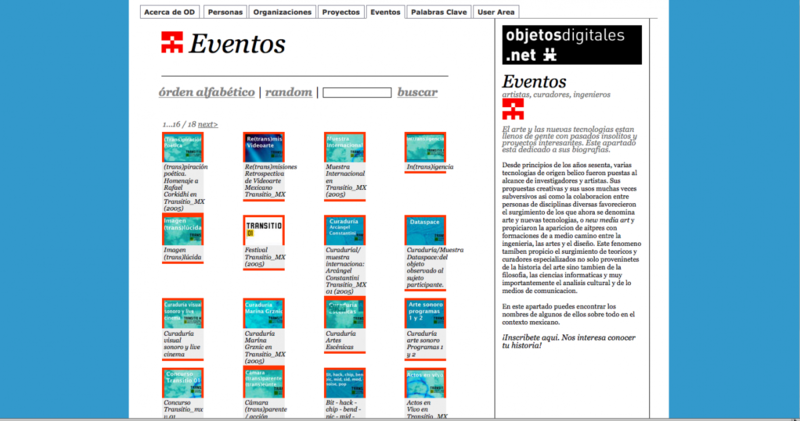 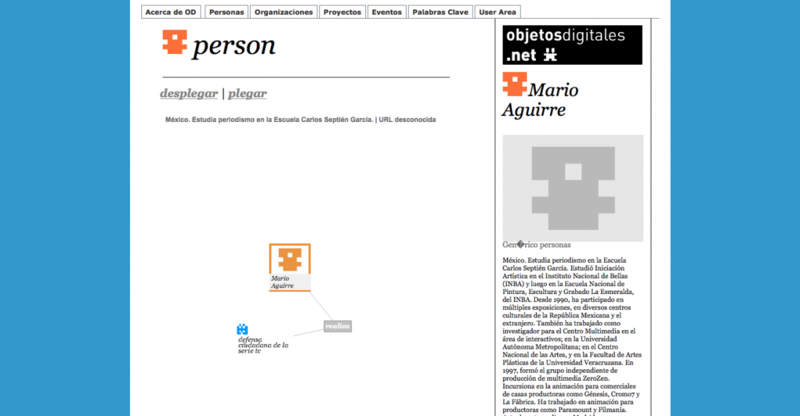 In keeping with the character of the new Internet (Web2.0), Objetosdigitales.net plans to become a social network where users themselves can create and edit content to be shared and open to artists and organizations of all nationalities. 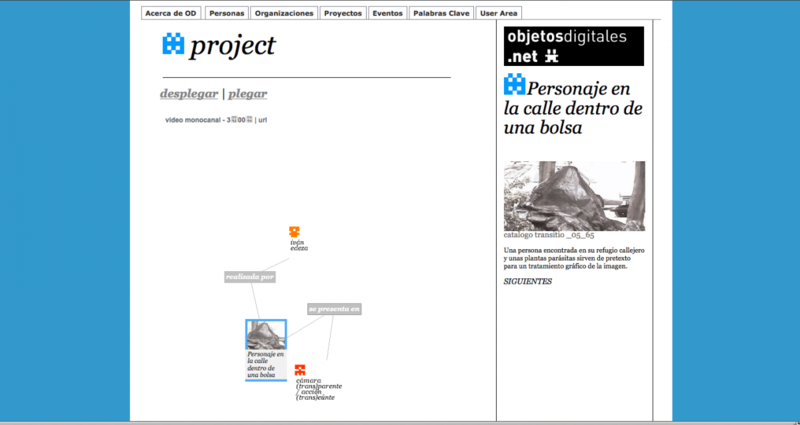 It’s structure includes some of the techniques of presenting the information in useful relational ways that are being proposed by the idea of the semantic web. 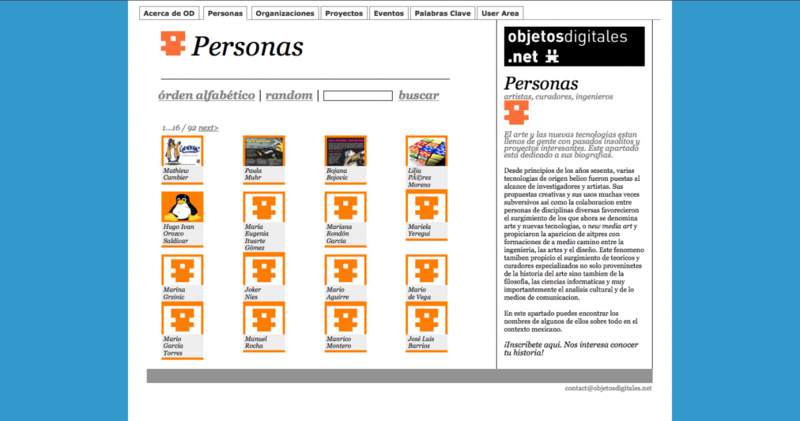 As any online database, it remains a growing work in progress.